Make homemade granola in minutes with this super simple recipe. 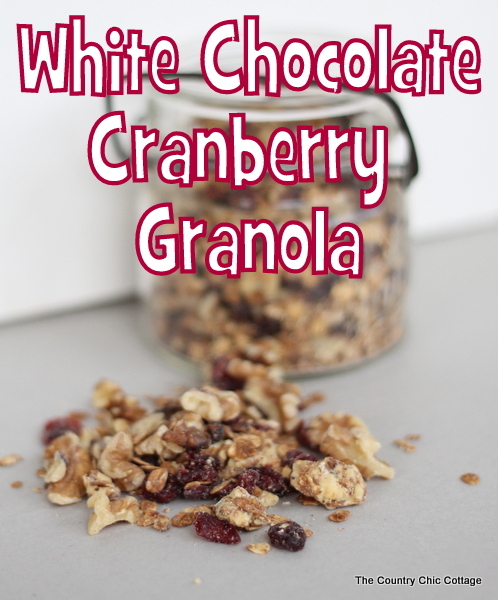 Healthy and delicious my white chocolate cranberry granola makes a great snack or breakfast. Preheat oven to 350 degrees. Line a cookie sheet with parchment paper. Mix together oil and honey. Toss with oats to coat. Spread oats evenly on cookie sheet. Bake for 16 – 20 minutes until lightly toasted throughout. Be sure to toss occasionally for even toasting. While still hot, mix oats with white chocolate chips. The chocolate should create clusters of granola. 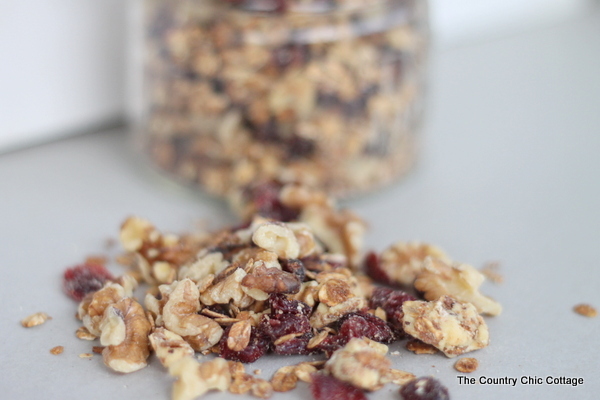 Let granola mixture cool then add walnuts and cranberries. Store in an air tight container. Serve with milk for breakfast, over yogurt, or just grab a handful anytime. This granola did not last long at my house and I bet it won’t last at yours either. Y’all enjoy this wonderful healthy recipe this weekend.